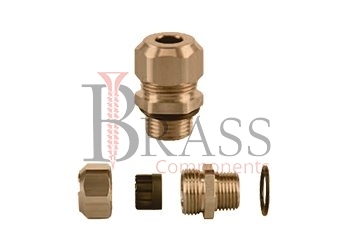 Waterproof Cable Glands are manufactured from Brass, Stainless Steel, Steel, carbon steel, Nickle plated Brass, nylon, polyamide and more. The manufactured range of Waterproof Cable Glands are compiled to meet the BS: EN 50262:1999 Standards. Waterproof Cable Glands are available in wide clamping range. Waterproof Cable Glands consist of washer, body, seal and neoprene ring available in different size as per custom Specification. Specialized body design is available. Based on Cable Glands application and requirements, Waterproof Cable Glands are also available with Cable Gland Accessories including Lock Nuts, Special Sealing Rings, Serrated Washers, Earth Tags, PVC Shroud, adapter, reducer and more. Available with unique sealing mechanism. Waterproof cable glands are IP68, IP67 rated. Resistant against water and other particles. The higher the rating is, the higher the fitting’s resistance against both water and dust. Meet UL, CSA, VDE and CE approvals. Provide reliable function in harsh environments where enclosures are exposed to humidity and dust. Form a tight seal which acts as a barrier against water and debris. Prevent unnecessary damage to the electronic devices where the cables are attached. Used in sealed cabling applications where a weatherproof seal is required for electrical cables and ducting through bulkheads and panels. Provide protect against moisture entering in enclosure and junction box. Widely used in most waterproof applications such as diving light and water proof battery pack. Widely used in outdoor applications where wash down constrains exist. Best used in environments wherein there is a possibility that water and debris can pass through a cable’s openings. Provide ideal preventive solution for application. 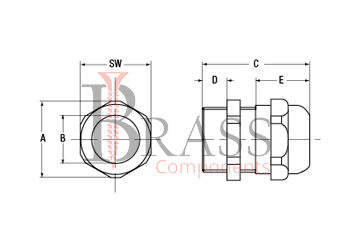 We manufacture Waterproof Cable Glands as per Custom Specification and export in Finland, Jersey, Spain, Switzerland, Ukraine, Austria and other European Countries. For more Information, Please Contact Us or Inquiry Now.